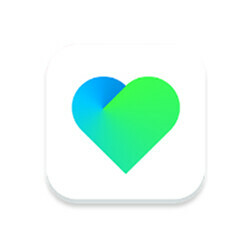 Finnish company Nokia made a blunder recently after rebranding the Withings Health Mate app and releasing a new version that messed up things pretty bad for users. Apparently, the first iteration of the Nokia Health Mate app was full of bugs. It was so bad that users have started to ask Nokia to republish the older version of the app. Earlier this week, the company admitted the application was quite the mess and promised to release an update that would fix all the bugs and syncing issues affecting users of Withings products. Aura: we fixed several bugs that made it cumbersome to interact with Aura. According to Nokia, more updates will follow until all the issues reported by users will be addressed. Hopefully, these maintenance updates that fix bugs won't break features that work correctly. Microsoft Health&Fitness app was great on windows phones, but exactly they - Microsoft killed it. I think Microsoft lost connection with reality long time ago. That's why windows phone is dead.